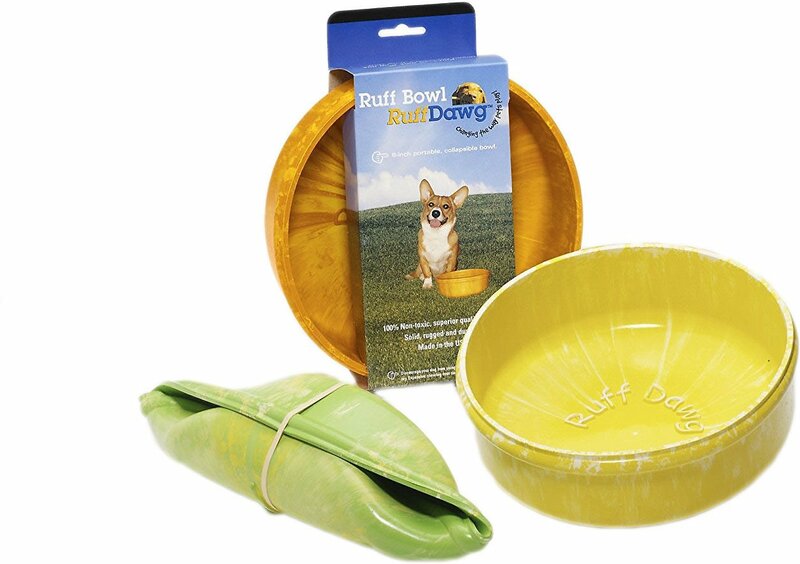 Flexible rubber bowl is durable, chew-resistant and weather-resistant. Made in the USA from FDA-approved, non-toxic and BPA-free material. 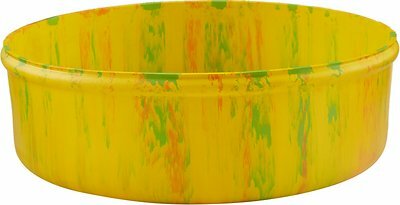 Rugged, unbreakable design makes this bowl perfect for outdoor use or while travelling. It rolls up, so it’s perfect for carrying in your backpack for a day on the trail or at the beach. 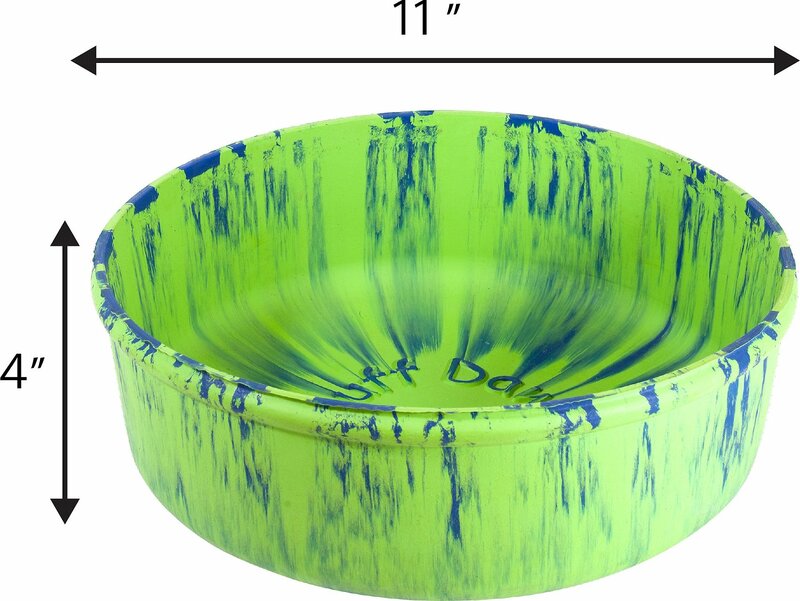 Ships in a variety of cool, marbled colors; 8-inch bowl is 3 inches deep; 11-inch bowl is 4 inches deep. The colors are amazing, they don’t skid across my hardwood floors, are easy to clean, don’t retain smell from fish oil or the lamb puppy food. 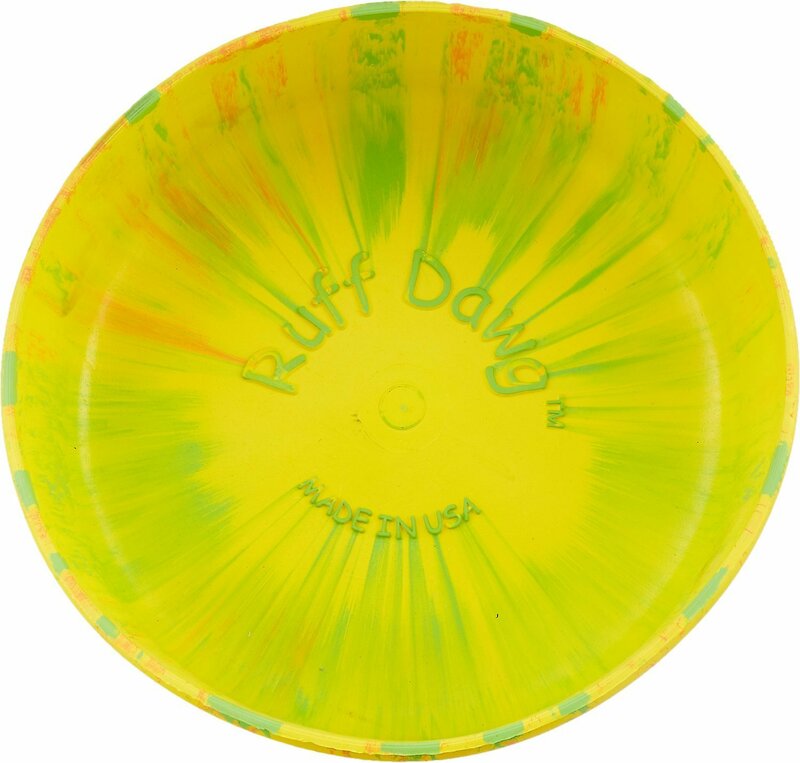 They are easy to take travelling, and it’s easy to tell the different dog’s food bowls apart. I feed Feral cats in my neighborhood, these bowls were just what I needed. They hold enough food for 3 days! So I have no worries about them going hungry!!! The rubber bowl is great, it's lightweight, stays in place, and quiet on my hardwood floors unlike the metal dishes. I don't like at all. It's ugly, flimsy and smells horrible.I plan to give or throw it away as soon as possible. This is exactly what I wanted. I play with my dogs outside a lot. In the summer heat, they need lots of water. This is the perfect size. And, it's so inexpensive, I am not worried if someone steals it from my front porch. Only downfall, it still smells like rubber. I've tried washing it a few times and can't get the smell to go away. It'll just take time. 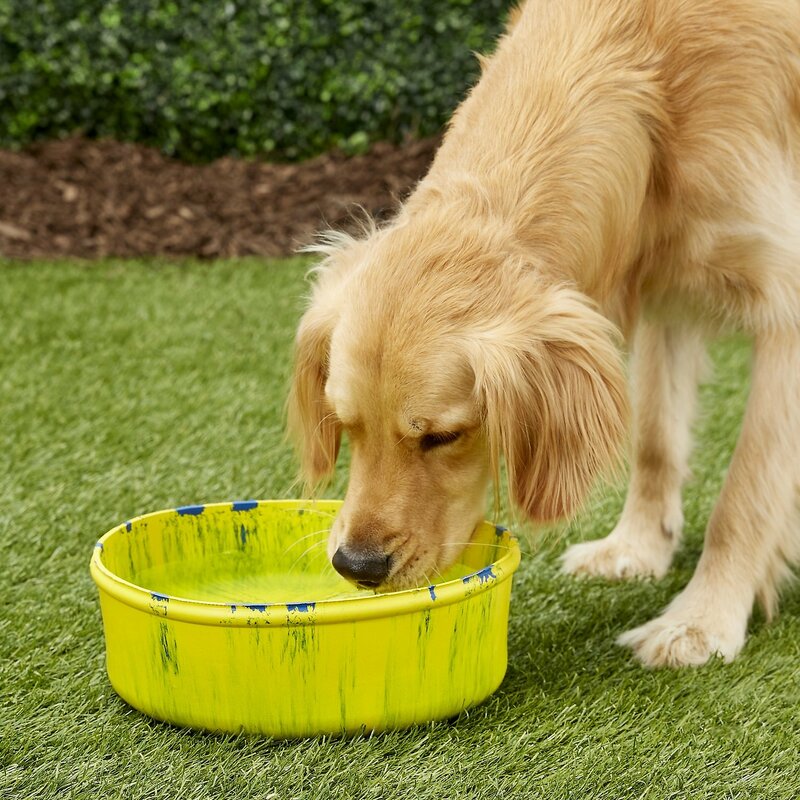 Awesome giant water bowl works great out side. Holds lots of water so you dont have to worry about running out. These bowls are the best bowls I have ever purchased!